With all the baking you're doing over the holidays, here's the perfect giveaway! Sweets & Treats Boutique is giving one lucky reader a $50 gift certificate to their store. 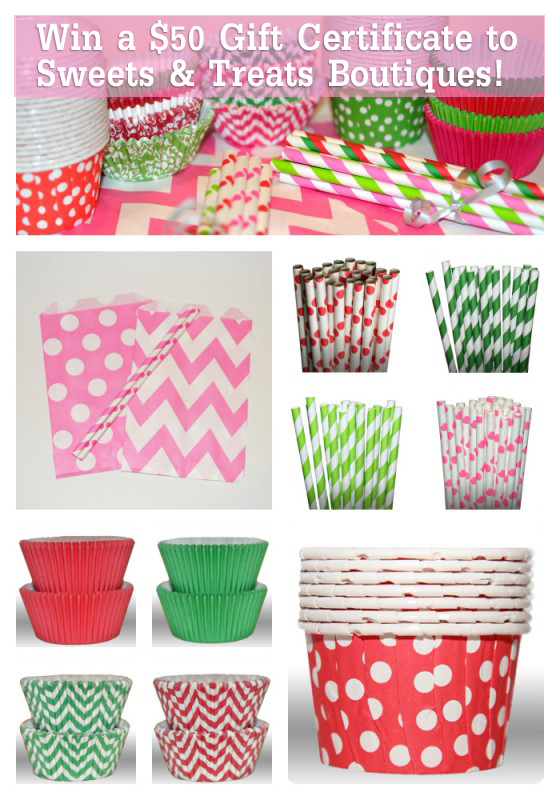 Sweet & Treats Boutique is a wholesale manufacturer and online cupcake and party supply web store, featuring fun, unique cupcake liners, baking cups, paper party straws, and goodie bags. 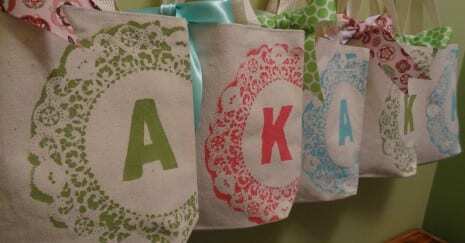 When I realized that Caroline B made these adorable favor bags for her daughter Taylynn's 5th Birthday, I had to ask her if I could repost her tutorial. Wait 'til you see how simple it is. I could totally do this! For the party favors we had lots of goodies so I wanted cute bags for the guests to put their things in. I made these bags for the girls, and they were so easy.